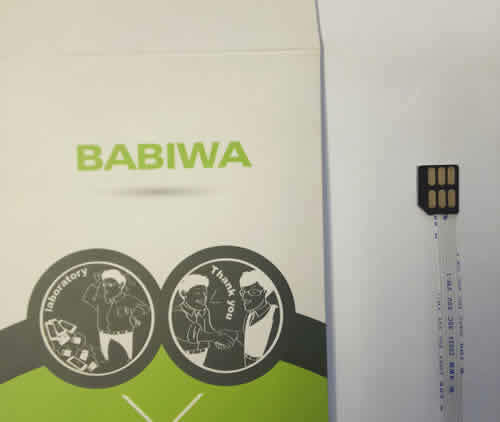 The Flexible Flat Cable Extender of Universal Micro-simcard Male connector to Smartcard and Minisimcard Female holder (also can hold microsimcard , nanosimcard ) . For you to extend out your device's original interior micro-simcard slot Then test any other simcards and smartcard from outside easily . this extender's micro-simcard male connector is of Type A bevel direction(angle) as shown below. Compatible with simcard tray of Universal Huawei Y series mobilephone. in case you find any incompatibility problem related to nano-simcard tray of your device,welcome to notify us through Email System. by default,we will send you the micro-simcard (Type A bevel) extender because most of Huawei Y series mobilephone hold nano-simcard.But in any case,you need Nano-Simcard extender instead,please email us or leave message with your order,so we will send you the microsimcard extender instead. also called Micro Simcard Extension Cable,Micro Simcard Connector Extender,Universal Micro Simcard Jack Extension Cable,Extender of Micro Simcard Slot,Linker of Micro Simcard Socket,Extender for Micro Simcard Holder,Smartcard tester,Micro Simcard to Smartcard Extension Cable. The most convenient method to Test Many and different standarded simcards(minisimcard,microsimcard,nanosimcard,smartcard) on Universal Huawei Y series mobilephone,you don't have to trouble yourself to change Sim card inside the device every time after Testing. 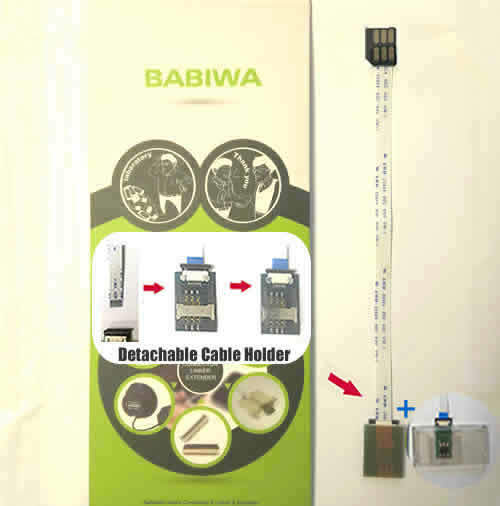 The Extension Cable from universal Micro-simcard male Connector of mobilephone to universally Mini-Simcard Holder and Smartcard Holder (both female holders would be provided for you). One End of this Extension Cable is the Type A of Micro-simcard connector(Male part to be hold into your device's micro-simcard slot as mobilephone). Support Universal Huawei Y series mobilephone. This listing is for Extender of Universal Huawei Y series mobilephone holding micro-simcard male connector in type A bevel direction. if you find what you need is for different direction or simcard type etc,please choose other types from our listing catalog below,you could find all available at our Products Catalog.